Andrew Connell is a full stack web developer with a focus on Microsoft Azure & Office 365, specifically the Office 365 APIs, SharePoint, Microsoft's .NET Framework / .NET Core, Angular, Node.js and Docker that enjoys development, writing & teaching… if it’s cutting edge web you will find Andrew there! 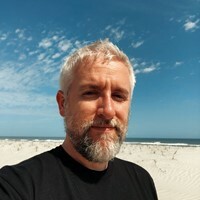 He has received Microsoft’s MVP award every year since 2005 and has helped thousands of developers through the various courses he’s authored and taught both in-person & in online courses. Recently he launched his own on-demand video platform, Voitanos (https://www.voitanos.io) to deliver his on-demand video training. Throughout the years Andrew has been fortunate enough to share what he has learned at conferences like Microsoft’s TechEd, Build, Ignite & SharePoint conferences, Angular’s ngConf & AngularU, SPTechCon, SP Live 360, and Techorama among many others all around the world in North America, Europe, Asia & Australia. You can find Andrew on his popular blog (http://www.andrewconnell.com), follow him on Twitter @andrewconnell, check out some of the numerous projects he’s involved in on GitHub (http://www.github.com/andrewconnell) or listen to his popular weekly podcast, The Microsoft Cloud Show (http://www.microsoftcloudshow.com), which is focused on Microsoft cloud services such as Azure and Office 365 as well as the competitive cloud landscape. Azure Application Insights: Add Application Telemetry & Monitoring to your Web Apps! Daniel Has been an Enterprise Architect for 13 years. Mainly working in Retail and Property and Causality Insurance. Scott Hoag (MCITP, MCPD) is a Principal Cloud Solutions Architect with Opsgility where he drives adoption of Microsoft's cloud platforms for Opsgility's customers. 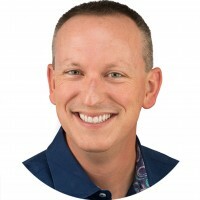 Scott is a frequent speaker at SharePoint and Azure focused user groups and comes with a deep background in helping organizations deploy content management and collaboration systems. Scott has over 11 years of experience as both a developer and a systems engineer delivering solutions from MCMS 2002 to SharePoint 2016 and Office 365 today. Scott also co-hosts the Microsoft Cloud IT Pro Podcast where he discusses the latest news and offerings with Office 365 and Azure. 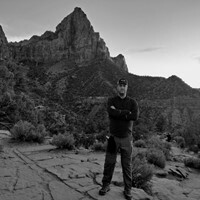 You can find him on twitter @ciphertxt and on the web at psconfig.com. Steve Schneider is a Business Intelligence developer for the City of Jacksonville (Florida), and has been embedded in SQL for over 20 years. He is a Microsoft Certified Systems Engineer and a Microsoft Certified Database Administrator. Along with his passion for SQL, he spends his time running half marathons and sailing. His current focus of interest is performance tuning, security, and cube building. He tries to maintain a constant sense of gratitude to God for the wonderful things he has been enabled to do. Thom is a data-centric consultant who has spent over 30 years designing data architectures for OLTP and Data Warehouse systems. He is currently focused on building ETL solutions in ADF.